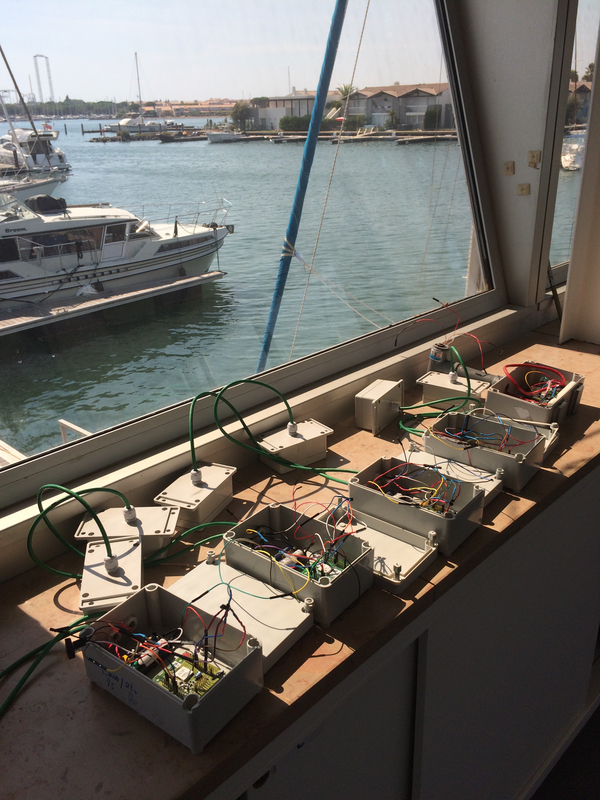 Four out of five prototype boat-detecting sensing nodes use a pair microwave motion sensors to monitor two adjacent berths continuously. 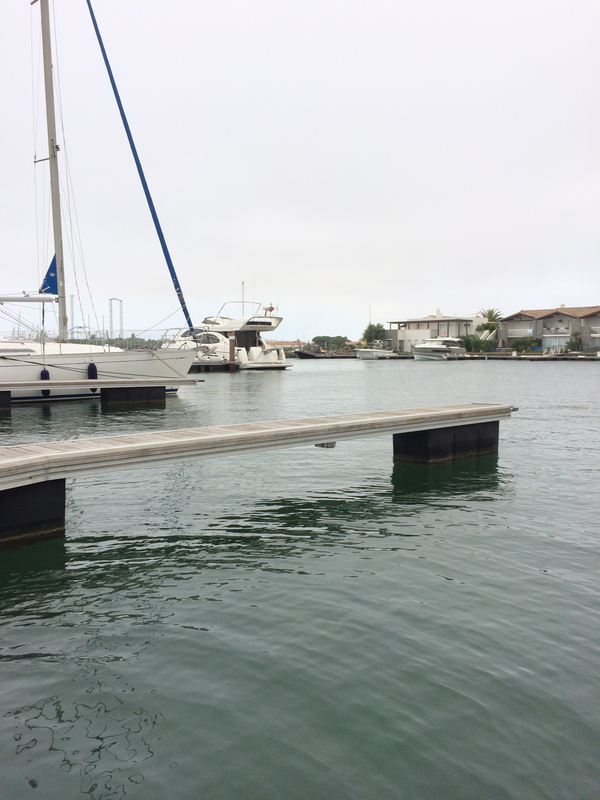 When a vessel is parked, the sensor, mounted on the floating dock facing the body of the vessel, detects the relative motion between the dock and the vessel. 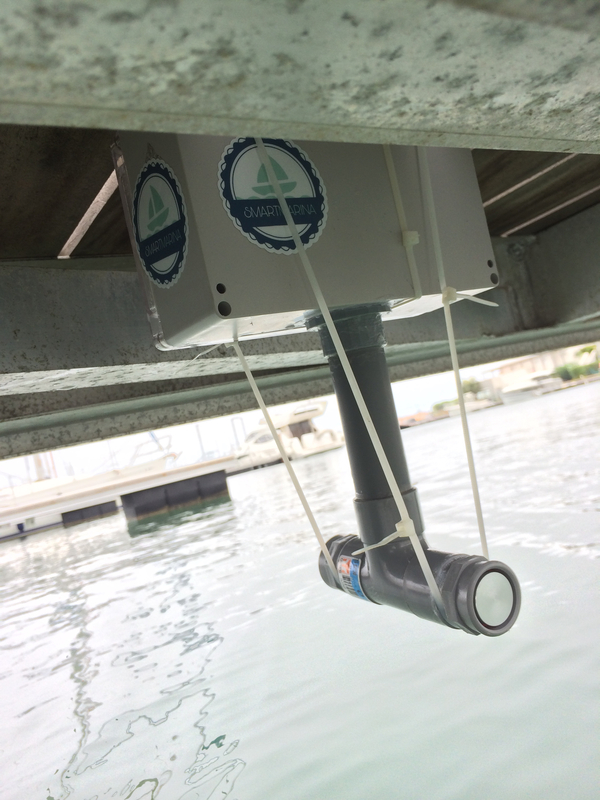 There is one set of sensors using the ultrasonic signal to detect the obstruction, the parked vessel, in front of the sensor. The live data, transmitted via the SmartMesh IP network, is captured at the manager station in the tourist office, where they are being uploaded to the cloud database for further processing. The cloud-based back-end system populates the data to a web interface (to be released soon!) for users to view. 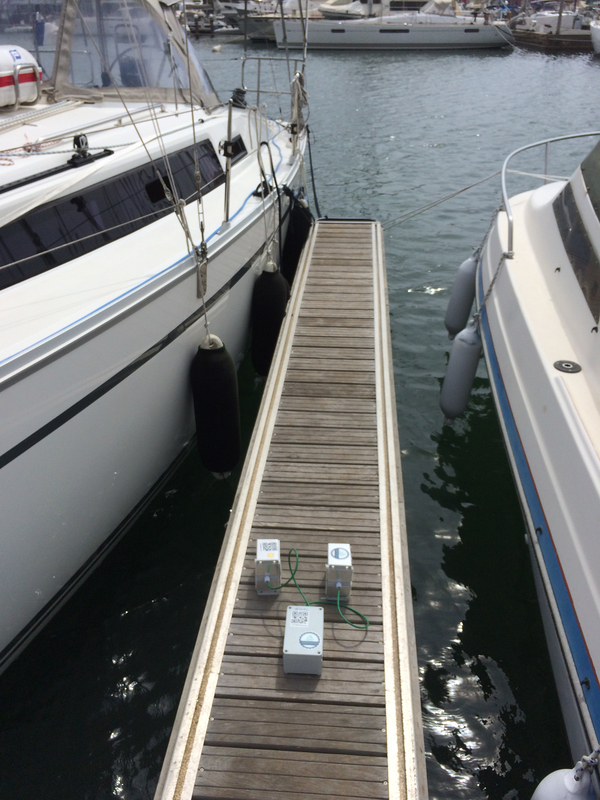 Two microwave motion sensor in water-proof enclosures mounted under the deck. 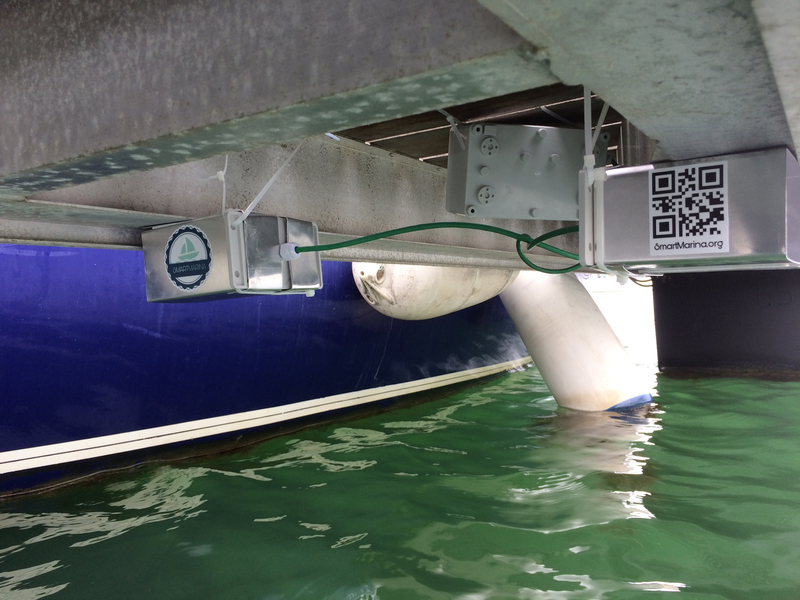 a close shot of the ultra-sonic sensor installed at the bottom of the deck. The zip-ties are to provide stability. a set of sensors to be deployed. a look of the microwave motion sensor from the adjacent deck. 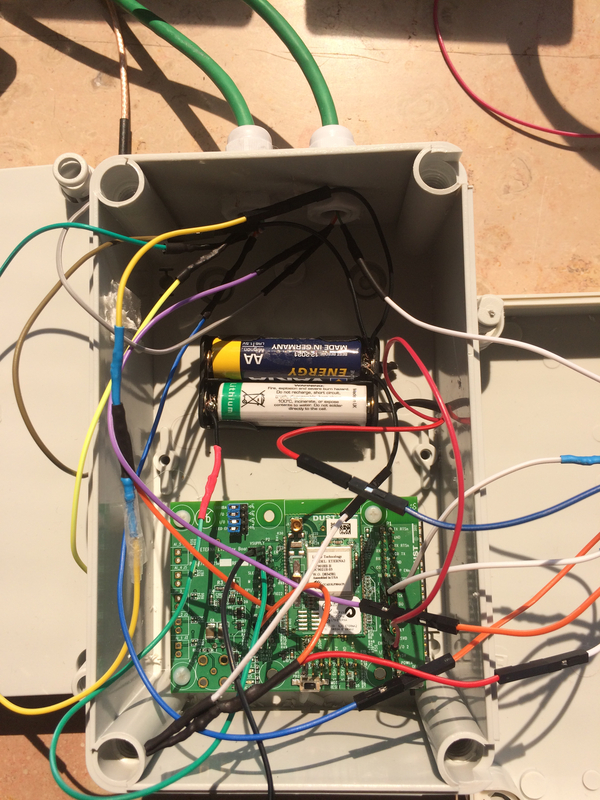 inside look of the box containing the radio and the battery. sensors to be deployed to the today. Tengfei tightening the sensor to the bottom of the deck. 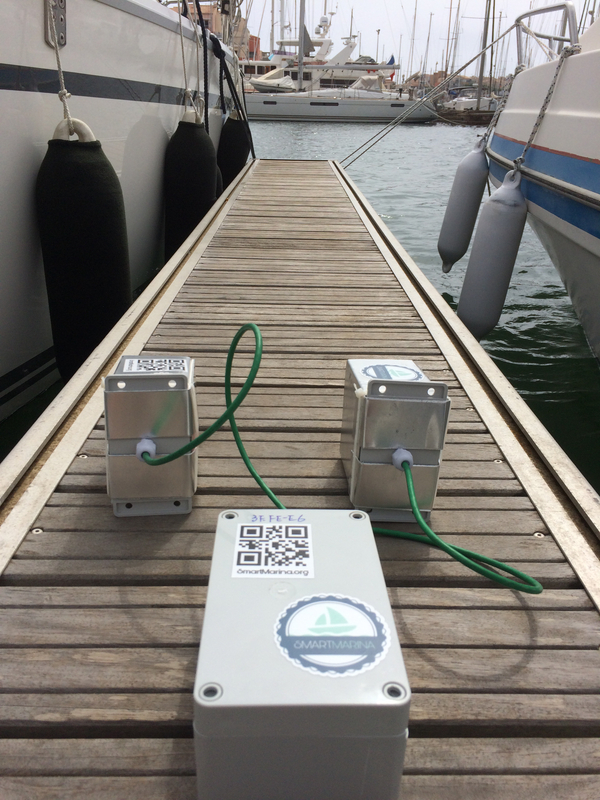 Thomas and Ziran promoting SmartMarina at IoT Solution World Congress in Barcelona!